Finding best exfoliator for dry skin is not an easy task. Too harsh and it can cause irritation and redness, too mild then it may not cleanse your skin pores properly. That’s why you need to use an exfoliator, which is somewhat hard enough to buff away dead skin cells and dry patches, but at the same time mild enough to be gentle, non-irritating that includes hydrating ingredients such as aloe, hyaluronic acid, & vitamin E – leaving your skin smooth and soft. You can find different forms of face exfoliators for dry skin on market. The most common two types are (i) Physical Exfoliants: They are widely used scrubs containing ingredients such as sugar, salt, micro beads and coconut shells. But these are not always the good choice, particularly if you have skin prone to irritation. In such cases, the better option can be chemical exfoliators such as hydroxy acids, beta hydroxy acids, and retinols. Chemical exfoliators have become more popular in recent years as they work best in tackling specific skin problems and come in the both forms – gentle and strong. Moreover chemical exfoliants are easy to combine with cleansers, moisturizers, masks, and pre-soaked pads. There are a number of products and brands to choose from. For dry skin, you need to be very cautious. We have researched extensively and shortlisted six exfoliators – which will help you remove dead skin cells, dirt, grime, debris, and excess oil – leaving your skin feeling (and looking) smoother, even-toned and softer. Here we go! (i) Formulated with vitamins and mineral rich Brazilian black sugar granules. 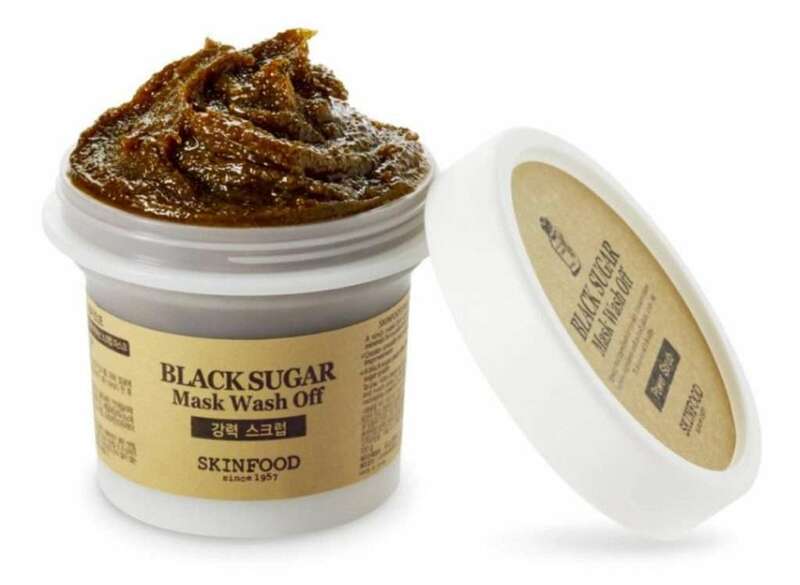 The black sugar used is organically produced without using any pesticide or harmful chemical. (ii) Contains minerals like iron, phosphorous, magnesium, calcium and potassium and vitamins like riboflavin, niacin, and pantothenic acid – they all together work to restore nutrients & moisture to skin. (iii) Gets rid of dead skin cells, helps to rejuvenate and brighten skin. (i) A few users have reported that the sugar granules are somewhat hard and irritated their skin. (ii) A very small percentage of the users having sensitive skin said it caused breakouts. (i) Contains 2% Beta hydroxy acid (BHA also called salicylic acid) is a gentle non-abrasive leave on exfoliator, gentle enough for everyday use on all skin types – even on delicate skin of the face & neck. (ii) Mimics natural exfoliation process – just like that of a younger skin by helping shed extra dead skin layers, unblocking skin pores and reducing enlarged pores. (iii) Brightens and evens out skin tone. Visibly reduces redness, fine lines, aging signs and wrinkles. (i) A very few users have reported that it feels oily on their skin. (ii) A few have reported that after using it acne broke out. 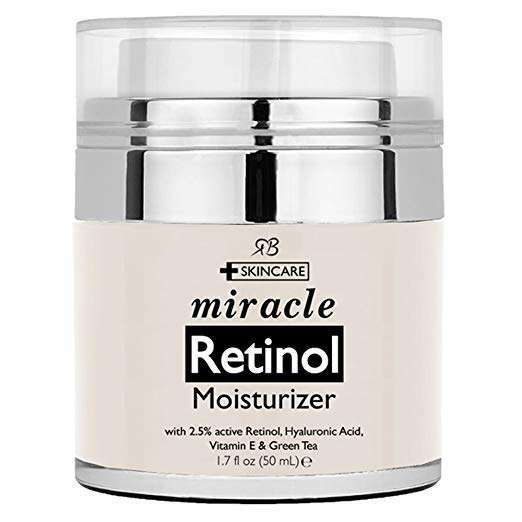 (i) Formulated as a cream formulation with 2.5% active Retinol, Hyaluronic Acid, Vitamin E, and Green Tea. (ii) Ideal for daily use on dry skin – day and night. As an exfoliant, it enhances skin’s cell turnover rate without over drying and smooths skin. (iv) Hydrates and reduces dry spots and discoloration. (iii) Brightens skin tone, reduces the appearance of wrinkles and acne, blackheads and acne. (iv) Helps natural collagen production and treats hyper-pigmentation. (i) A few users have reported that it caused breakouts, zits and clogging of pores. (ii) Some users reported that they saw no noticeable difference after using. (i) Non-drying, 99.5 natural daily facial cleanser, with a unique combination of natural AHAs and BHAs, that exfoliates skin without stripping off moisture or tinkering with its pH balance. (ii) Formulated with 36 naturally healthy ingredients such as calming aloe, skin brightening sugarcane, moisturizing rice seed and exfoliating coconut-derived surfactants to moisturize the skin as it removes dirt, grime, oil, and debris. (iii) Contains no sulfates, petrochemicals, synthetic fragrance or color, glycols, silicones parabens, and is also paraben-free, cruelty-free and is vegan. (i) Some users have reported it produced very low amount of lather. (ii) A very few users reported that it made their skin broke out. (i) Best for the people who are always on-the-go – they are handy and easy to use. (ii) Great for daily use, these pads are infused with just the right amount of Lactic and Glycolic Acids. These 2 acids safely & effectively exfoliate, tone, eliminate dead skin and smoothen skin texture. (iii) While soothing cucumber & Indian gooseberry help hydrate & tone skin, lemon peel and licorice root leave the complexion looking glowing. Brightens all types of skin, including sensitive. 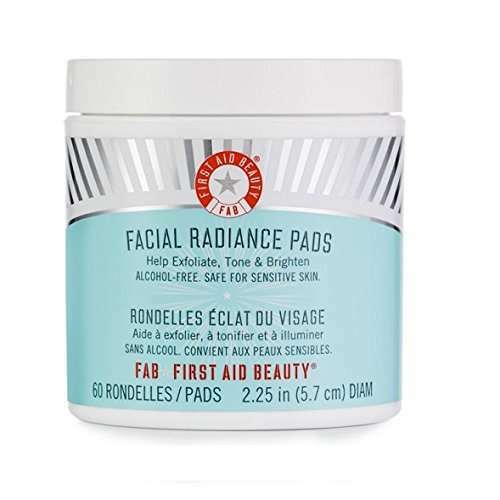 (v) Facial Radiance Pads are artificial colors, artificial fragrance, alcohol & parabens-free and are designed for all skin types, including sensitive skin. A very few users reported breaking out of acne on their skin. (i) A natural face & body cleanser to get rid of daily build-up so as to let your face heal and look glowing. 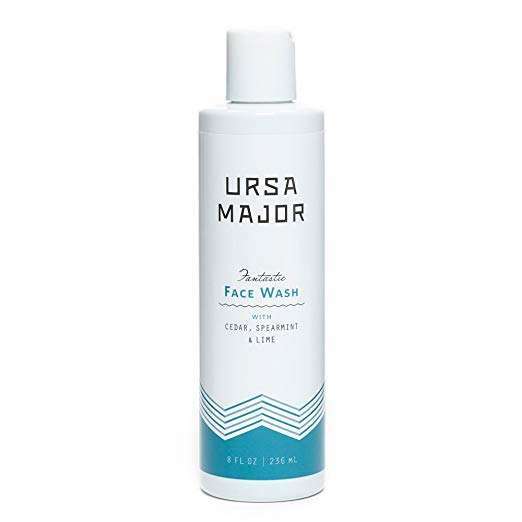 Safer than a chemical peel, it gently scrubs away dead skin cells, blackheads, stretch marks, works as a potent acne scar treatment and minimizes skin pores. (ii) Exfoliates & eliminates stubborn blackheads, dull/dead skin cells and hydrates deep to the base of your skin. (iii) While loosening dead skin cells, dirt, grime, it nourishes the skin – leaving behind healthy, youthful and radiant skin. (iv) Can be used as and anti aging facial mask to balance the skin tone, decrease age spots, wrinkles and fine lines. (v) Designed as two in one – exfoliating scrub & anti aging mask. Contains organic aloe vera, walnut, manuka honey & potent vitamin C to save skin from harmful free radicals and premature aging. (vi) Paraben free, alcohol free & non-toxic. Can be used for even sensitive skin. (i) Some users found it to be rough on their skin. (ii) A few users have reported that it caused acne breakout.